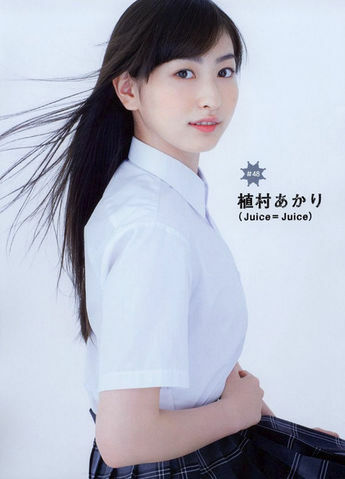 Uemura Akari was born on December 30, 1998 in Osaka, Japan to a couple whose names are undisclosed. 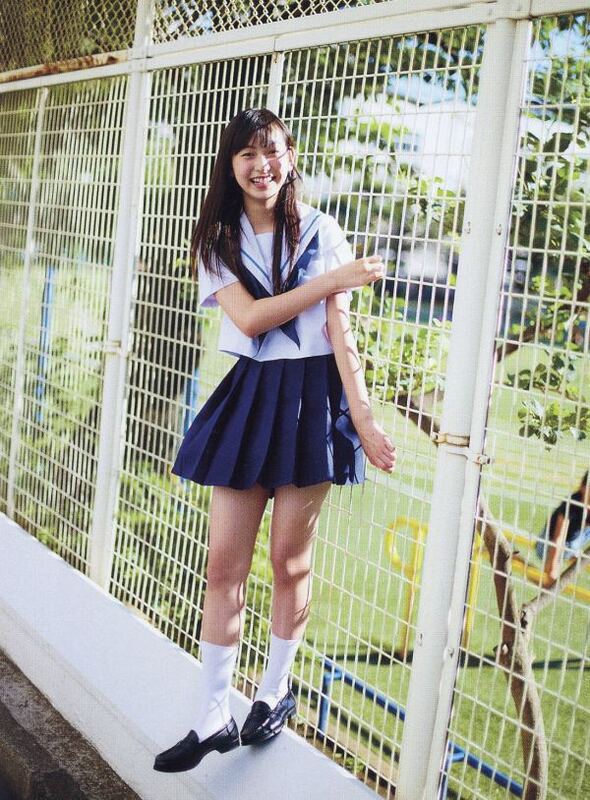 She was a member of Up-Front Kansai prior to Hello Pro Kenshuusei, recieving six months of free training. She was later introduced as a member on March 31 in the Hello Pro Kenshuusei Happyoukai 2012 ~3gatsu no Nama Tamago Show!~ alongside Kosuga, Murota Mizuki and Okamura Rise. She performed Go Girl ~Koi no Victory~, Chokkan 2 ~Nogashita Sakana wa Ookiizo!~, JUMP andPyocopyoco Ultra. On February 3, during the Bravo! 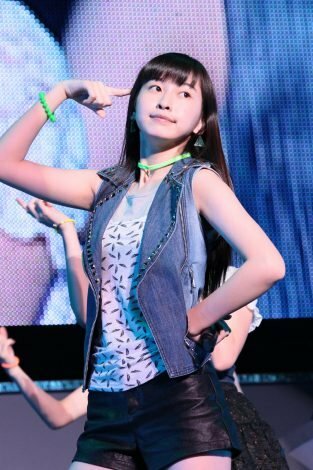 concert in Fukuoka, it was announced that she would be debuting in a new unit, Juice=Juice, alongside Miyamoto Karin,Kanazawa Tomoko, Miyazaki Yuka, Takagi Sayuki and Otsuka Aina. On February 12, Hello! Project Fanclub News announced that Uemura will be participating in a stageplay titled Moshimo Kokumin ga Shusho o Erandaraalong with Takahashi Ai, Ishikawa Rika, Wada Ayaka, Fukuda Kanon, andMiyamoto Karin. There will be 11 showings and it will run from April 24th through the 30th. On March 31, Uemura fell ill with the flu and was unable to participate in theHello Pro Kenshuusei Happyoukai 2013 ~3gatsu no Nama Tamago Show!~. On December 11, Uemura and Miyamoto Karin had a birthday FC event called, Juice=Juice Miyamoto Karin, Uemura Akari Birthday Event 2014, at Differ Ariake.